Brittany is a former teacher (high school, middle school, AND elementary school – whew). Her first yoga class was a rec center beginner’s yoga class senior year of high school, and even through the giggles of fellow newbies, she fell in love. Since then, yoga has been central to Brittany’s life as a way to practice presence on and off the mat and stay grounded through huge life transitions. Increasingly, Brittany realized yoga was an important tool to share with others. She saw firsthand how her students responded strongly to small mindfulness practices, and saw colleagues rejuvenate after practice together. Living and teaching abroad in South Korea and Kyrgyzstan for the last few years allowed Brittany to connect with others globally and share the practice around the world. In 2013, Brittany completed her 200hr Yoga Teacher Training with Yogacara Global in Dublin, Ireland. After the birth of her first daughter, Anika, in July 2017, Brittany trained in postpartum/baby and me yoga with Mama’hood. 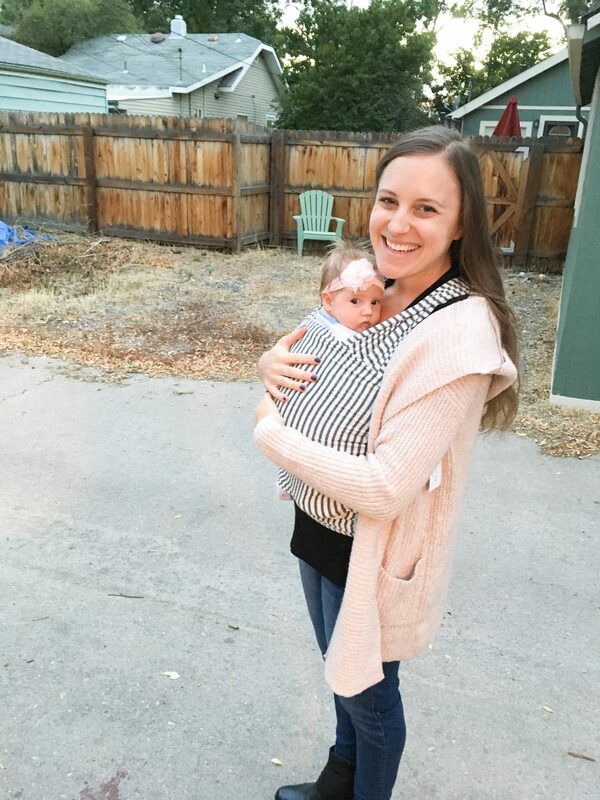 Now, Brittany is sharing the benefits of yoga with mamas in the Denver area, creating a little space where moms and babies can come together to move, breathe, and connect with one another. When not on the mat, Brittany is an obsessive reader, dog walker, and baby kisser. She is a terrible gardener but is going to keep trying. And she’s always looking forward to the next travel destination.